One of the best way to convert an anti-gunner into a pro-gunner is to take them to the range. It’s also a great way to grow the firearms community! I’ve personally instructed a number of people about firearms who were previously afraid of them. 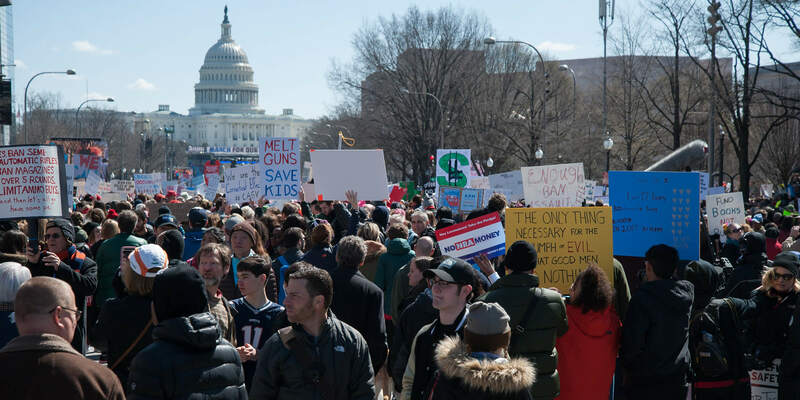 Getting a real gun in their hand really is the best way to counteract the fearmongering and indoctrination from the anti-gun side paired with ignorance spread by Hollywood. I took a young lady to the range to shoot a gun for the first time many years ago. Later she told me she almost canceled on me she was so afraid. She wasn’t necessarily anti-gun, but she certainly was terrified of them. Before we went to the shooting range I gave her the rundown on firearms safety and we talked about guns the entire drive. It was an outdoor range and when we were walking up to the firing line after checking, someone shot off a rifle and this young lady took off running away from the range. After calming her down and doubling her up on hearing protection, I got her up to the firing line while other people were shooting. She’d jump, but she slowly got acclimated. We started off with a Ruger SR22 .22lr handgun. New shooters are one of the primary reasons why I own multiple .22lrs. I explained it was just a tiny .22lr, I shot a mag through it to show her how tame it was, reloaded it, and gave it to her. She held it and didn’t fire. So I shot one round again to show her how tame it was and gave it back to her. She still held it not firing for what felt like a minute. Finally, she pulled the trigger. She paused, looked over at me with huge eyes and exclaimed, “That was awesome!” And proceeded to empty the mag at a controlled rate of fire. After some time on the .22lr handgun, I got her up to a Henry Lever Action .22lr rifle. It’s such a fantastic new shooter gun as it isn’t semi auto and it is just fun and satisfying to shoot, even for experienced shooters. She loved it. After seeing her doing well, and loading magazines properly, I pulled out my AR-15. I think I needed to confirm zero, I don’t remember. She looked at it and said she had no interest in shooting it. I did my thing while keeping an eye on her. Then I pulled out a 9mm handgun and she didn’t hesitate even though it was a larger centerfire. I put some rounds through it, then she did. I was struggling to load mags fast enough. A little bit later… she said she wanted to shoot the AR-15. I had it on a bipod, so it was super easy for her – and she loved it. I’ve since taken her to the range a few times and she gets better every time. Getting guns in the hands of new shooters really is one of the best ways to correct the perceptions of firearms created by the media, Hollywood, and video games. 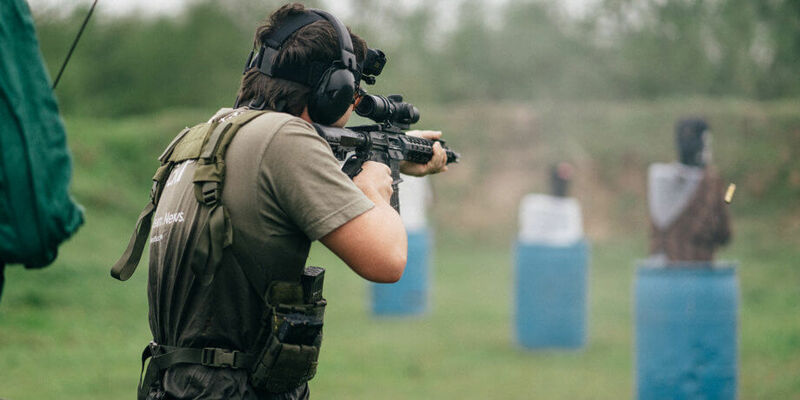 Here’s a very similar experience from John Lovel taking a new shooter to the range – except he took an Aussie to the range. Look at her smile! She’s having such a blast! 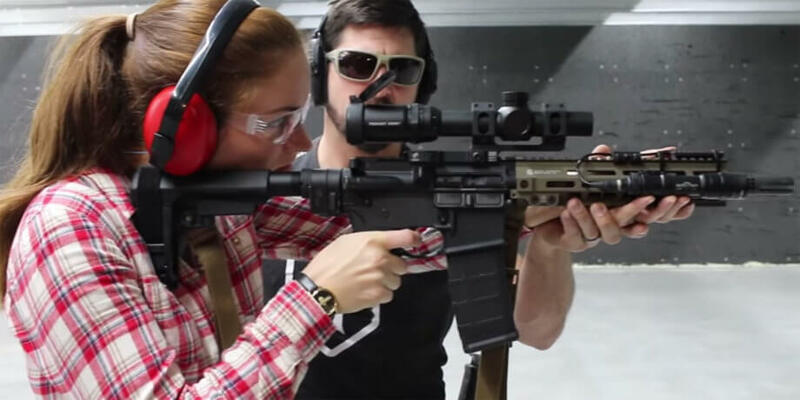 This girl was just shocked she actually shot one of those super scary AR-15s. They’re so surrounded by mythos and fear, she thought they were a super big deal. Getting one in her hands and realizing they aren’t as big of a deal as she thought did huge things to teaching her the realities about firearms. 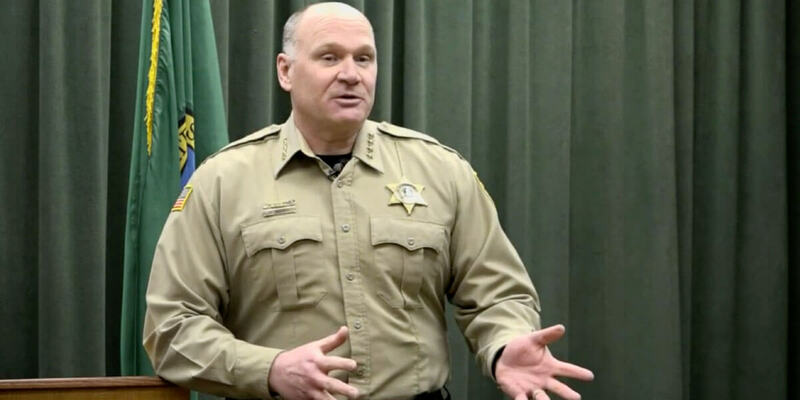 Getting an anti-gunner to shoot a firearm isn’t a guarantee they are going to become a pro-gunner, but it is a very good step. 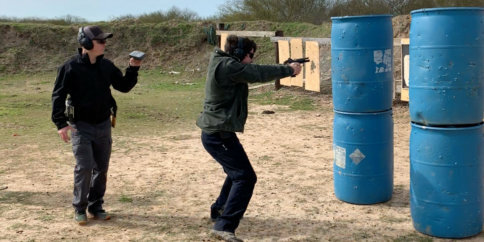 The key to taking new shooters to the range is to give them a good experience. Another lady I’ve met had the exact opposite experience of the two previously mentioned women. This gal was at a friend’s house and they got talking about guns. So this guy pulled out one of his guns to talk about them and show them off. Except this guy was a complete idiot, didn’t handle them safely, and had a negligent discharge inside his home. Not only is that a felony in some states, not only did he almost kill someone, but now this lady has sworn she will never touch a gun and completely shut down all discussion about them when I tried to broach the topic. Don’t be an idiot – give new shooters a good and safe experience. A safe experience obviously starts with the rules of firearms safety. Really emphasize the importance of muzzle discipline and I like to show some of the easy ways to break the rules of firearms safety, particularly how it easy to turn around and be pointing a handgun at someone. I’ll also give them a little bit of range etiquette so they know a little bit of what to expect at the range. It can be a little overwhelming, but reassure them you’ll be there to help out the entire way. You’ve probably seen those videos of people giving very small women the pistol grip shotguns or giant caliber revolvers and the gun goes flying, the girl gets scared, and everyone laughs. PLEASE do NOT do that. People get shot and killed by doing that stuff. One time a woman was given a large caliber revolver and no coaching on how to properly control it. The first shot recoil sent the gun in a complete arc and had it pointing it at her own head. She completely tensed up and ended up pulling the trigger and shot herself in the head because she was given a gun too big for her to handle. Start with small guns and work your way up. .22lr firearms are absolutely perfect for new shooters. Don’t give new shooters guns bigger than they can handle. But in an opposite, but similar, manner – don’t give new shooters too small of a gun. Those tiny pocket carry .380s are excellent at concealment – but they are an absolute pain to shoot. And by “pain” – I mean it causes literal pain for your hand, especially if you have a bad grip, which new shooters will have. Start out new shooters with a gun that is comfortable and easy to shoot. There’s no need to teach them super advanced tacticool oper8or shooting technique. Teach them enough to safely hit the target and retain positive control over the firearm. The emphasis of first trips like this should be on safety and fun. If they ask questions on how to shoot better, give them some tips – but otherwise don’t push the matter. The primary focus of trips like this should be getting them to want to come back, not tightening their groups. First time shooters, particularly shooters who are on the fence about guns, will have lots of questions. Answer them in a civil manner. They’re here to learn because they are admittedly ignorant on the topic – it’s why they’re there. Be careful with your tone and don’t get angry or act like they’re talking down. I live to say things like “good question” or “thanks for asking.” Simple things like that can go a long way to making their experience even more enjoyable and it will encourage them to ask even more questions. Don’t use this as an opportunity to get too preach-y and how they want to take our guns or conspiracy theories or any of that. Think of this as a marathon, not a sprint. Acting like an adult and treating other people like an adult will go a long way in this day and age where people are so quick to resort to schoolyard level name calling and attitude. 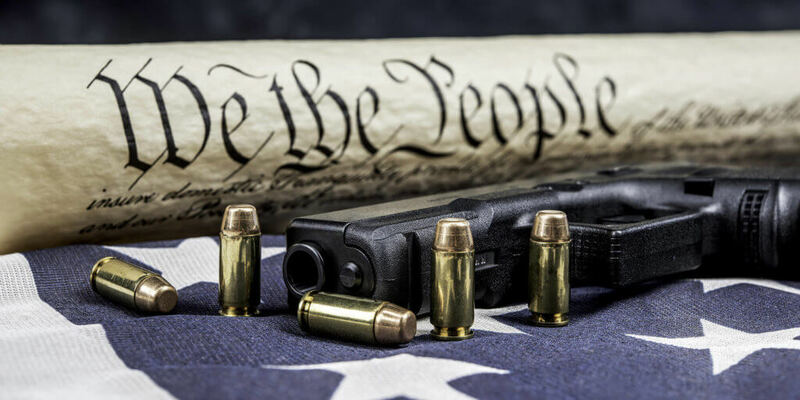 Taking someone who is on the fence about guns really is the best way to grow the 2nd Amendment community. Check out the Plus One Movement apart of the National Shooting Sport Foundation’s “Let’s Go Shooting” efforts to get more people involved in shooting sports. Thank you for this fantastic write up. I always try to ease in new shooters with a suppressed .22 and if at all possible a private range. I tell anyone who is scared that I’ve had a 6 year old girl shoot this thing all day long with a smile on her face and that seems to assuage their fear a bit. I try and be an advocate for firearms and their responsible use. I have no problems debating the finer points of gun control in a calm respectful manner and always look for an angle to get them to actually come to the range and see what they are fighting against. After all it’s tough to have an informed debate if you’ve never experienced the other side.